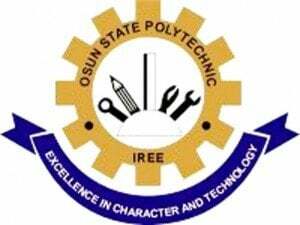 Have you applied or planning to apply for the Osun State Polytechnic, Iree (OSPOLY) 2013/2014 academic session daily Part-time programme admission? If yes, the management of the institution has announced the entrance screening date. OSPOLY, Iree 2013/2014 DPT screening has been fixed to hold on Thursday, 16th of January, 2014. Go to OSPOLY, Iree DPT Registration Details Page for more information on how to apply.